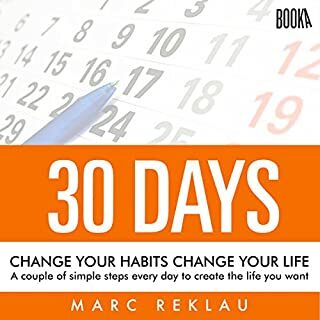 What would have made 30 Days - Change Your Habits, Change Your Life better? The book had different activities in every chapter - you go from writing down your goals, to visualization, to meditation, to listing top items you want to change and so on and so forth - at some point the reader is like 'what' now what - I would describe it as unfocused. I really believe there is a lot of good stuff in the book and possibly just demonstrating that there are different techniques to be used to make changes would make the story more credible. Or I think the author could have focused on a few key principles and demonstrate how they are used in conjunction with each other. I re-read a bunch of it because I kept restarting every time I got on a plane (travel for a living) and I think it all was a good review of exercises we all have heard of before, but it was just that. Like a reminder of all the ways people bring change to their lives. I wouldn't go out of my way to buy this book but it was okay. I was hoping for some inspirational insight but got fire hosed with options instead. A light book to read - if you are interested it would be good for the beach or simply a light read. Wow very moving and captivating. I spent the whole time so engaged with the story that I continually thought of all the friends that I have to. It this book for. 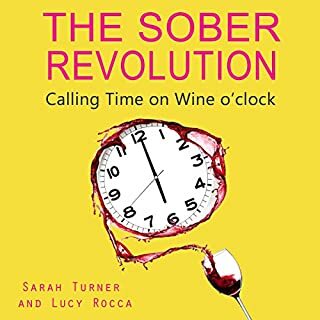 After reading "kick the drink" this book was like the icing on top of all the reasons alcohol robs your life of peace. I cannot recommend this enough! The stories at the end might be the best part of the book as you can find yourself and people around you in this stories in some way. Very impactful. Oh boy what do I say? Just a fluffy piece with an author who is edgy and kind of obnoxious. He tells a story about Hollywood types that spend excessively and he spends a lot of time shaming them for how they behave. It is mildly entertaining but honestly I thought that I can't get that time back. 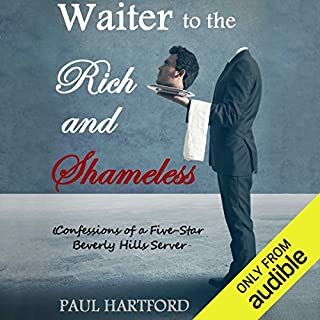 I don't recommend this book as it's hard to even believe his view as he waits on someone a few times and this is supposed to be a judgement on the diner's character! It kind of says more negatively on the writer. He also makes comments like Donald Trump and his wife had martinis. I think it is well known and witnessed that he doesn't drink. Move on. Wow what a great story and love that "Beth" read the story herself. 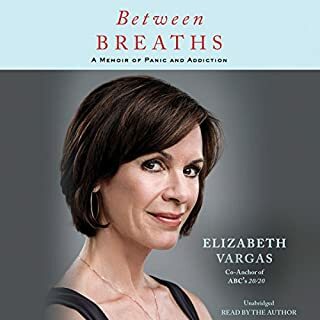 Been reading a lot about addiction and alcohol in the average everyday household and this one resonates as she nearly lost it all but still had loved ones who stuck by her and of course ABC. The honesty about how many times she stumbles is painful. By the last time your grimacing thinking oh no not again! Recommended.